I was reading The Four Agreements in the train today and when I opened the book again tonight my eye fell on the passage I want to share with you. I thought it sets the tone nicely for the next 98 days. “When we talk about the Toltec path to freedom, we find that they have an entire map for breaking free of domestication. They compare the Judge, the Victim, and the belief system to a parasite that invades the human mind. From the Toltec point of view, all humans who are domesticated are sick. They are sick because there is a parasite that controls the mind and controls the brain. The food for the parasite is the negative emotions that come from fear. If we look at the description of a parasite, we find that a parasite is a living being who lives off of other living beings, sucking their energy without any useful contribution in return, and hurting their host little by little. The Judge, the Victim, and the belief system fit this description very well. Together they comprise a living being made of psychic or emotional energy, and that energy is alive. Of course it is not material energy, but neither are emotions material energy. Our dreams are not material energy either, but we know they exist. One function of the brain is to transform material energy into emotional energy. Our brain is the factory of the emotions. And we have said that the main function of the mind is to dream. The Toltecs believe that the parasite — the Judge, the Victim, and the belief system — has control of your mind; it controls your personal dream. The parasite dreams through your mind and lives its life through your body. It survives on the emotions that come from fear, and thrives on drama and suffering. The freedom we seek is to use our own mind and body, to live our own life, instead of the life of the belief system. When we discover that the mind is controlled by the Judge and the Victim and the real “us” is in the corner, we have just two choices. One choice is to keep living the way we are, to surrender to the Judge and the Victim, to keep living in the dream of the planet. The second choice is to do what we do as children when parents try to domesticate us. We can rebel and say “No!” We can declare a war against the parasite, a war against the Judge and the Victim, a war for our independence, a war for the right to use our own mind and our own brain. 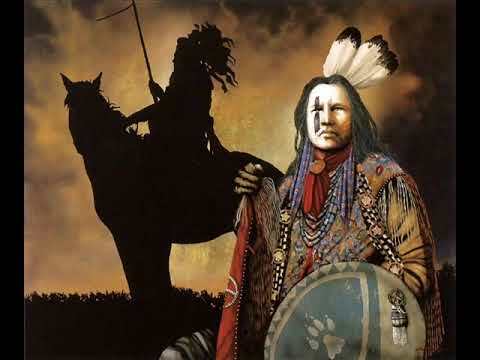 That is why in all the shamanic traditions in America, from Canada to Argentina, people call themselves warriors, because they are in a war against the parasite in the mind. That is the real meaning of a warrior. The warrior is one who rebels against the invasion of the parasite. The warrior rebels and declares a war. But to be a warrior doesn’t mean we always win the war; we may win or we may lose, but we always do our best and at least we have a chance to be free again. Choosing this path gives us, at the very least, the dignity of rebellion, and ensures that we will not be the helpless victim of our own whimsical emotions or the poisonous emotions of others. Even if we succumb to the enemy — the parasite — we will not be among those victims who would not fight back.